UK Prime Minister Theresa May has signalled that MPs could be given the power to decide whether the UK goes into a controversial Brexit backstop arrangement regarding the Northern Irish border. 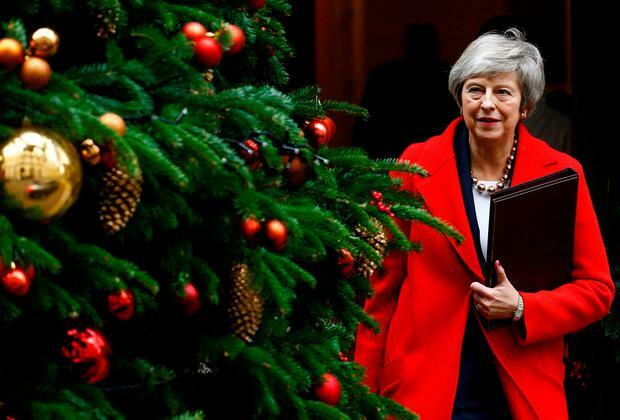 Mrs May indicated the British Parliament would choose between triggering the backstop or extending a transition period after the UK formally quits the EU. The move is likely to be seen as a bid to bolster flagging support ahead of a crunch Commons vote on her EU withdrawal deal next Tuesday - a showdown the PM made clear she would not postpone. Sir Graham told BBC2's Newsnight: "I think the most important thing is to have clarity about how we might remove ourselves from a backstop ... if we were to enter into one in the future. Former UK prime minister Tony Blair said Mrs May was facing the prospect of "hitting a brick wall at speed" next Tuesday, and would be better advised to act as "facilitator" in the search for a Brexit solution which can command the support of a majority of MPs. The British Government says it aims to conclude a comprehensive trade deal with the EU before a backstop arrangement would be needed.